We "kidnapped" Auntie Claire to Woolley Food Court for a makan-makan. Mamarazzi had her Prawn Noodle. Just nice for her. Not too spicy. 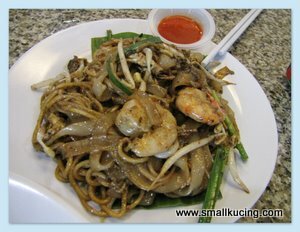 Tried the Char Keoy Teow. Mamarazzi really "jakun". Only now she got to know this is called "Hoe Hee". 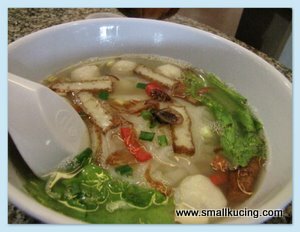 Basically Keoy Teow Soup with fish cake, fish balls and stuffs like that. Wanted to order Cockles but they have ran out of stock. So we had Sotong Kangkung instead. Mamarazzi saw the next table had this Mix Fruit Ice. She ordered one to be share. Cheap at RM2-90 only. 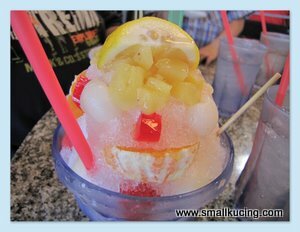 If at those famous dessert places in KL, I think at least RM10 lor. Eh wah eh wah....Papa feed me till masuk hidung pulak. After that Mamarazzi wanna go to "JJ" pulak and asked Auntie Claire to show the way. Auntie Claire was wondering why Mamarazzi wanna go "JJ" and Mamarazzi was puzzled why Auntie Claire led us to "Jusco" . Mamarazzi wanted to go to "JJ Cake House". Haiz...this Mamarazzi ah...never say properly. Say "JJ" only. 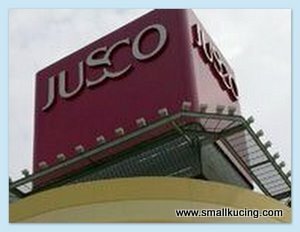 Auntie Claire thought "JJ" as in Jaya Jusco coz that is what Ipoh people called Jaya Jusco, while over here we called it as "Jusco". What a hilarious mixed up. We did arrive at "JJ" and she "borong" some Swiss Rolls. This Mamarazzi ah...must be still half asleep. Why she buy the Swiss Rolls that got jelly in the middle geh. 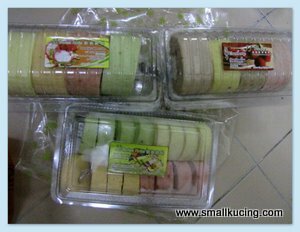 Previously, if not mistaken, the Swiss Rolls have fresh fruits. Not jelly. Maybe she took the wrong type ya. We adjourned back to Auntie Claire's house after getting the Swiss Rolls. There I had some more coconut water while waiting o go for dinner pulak. Non-stop eating. my favorite place..used to eat there last time..
Yummy cakey in aunty's tummy. Hahahahahah! Thank you for the cakes. Congrats on being a Featured Member of voiceBoks!! Your pics made me very hungry. It all looks delicious. It seems like you had such a great time!! yum, you guys went makan makan together! so fun! 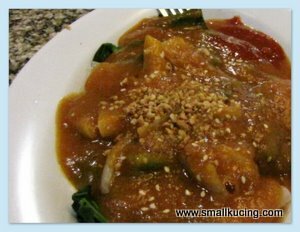 yalor, can still find relatively cheaper food in Ipoh and definitely a lot nicer than those expensive ones in KL..
YUM! Congrats on vB featured member status! Next around, order Nancy Chong butter cake..LOL!! hahaha... reading your post put a wide grin on my face!! 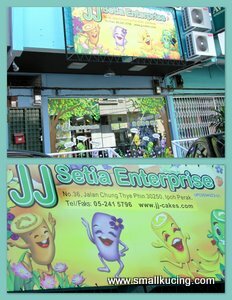 JJ.. JJ... i was very puzzled why u want to go Jaya Jusco..isn't the one in KL bigger and nicer? I thought u wanted to while away the time there.. hahaha... asked Wee Kean to turn in entrance some more.. hahahaa... what a joke! I should have read this earlier! always dunno where else to eat in ipoh! 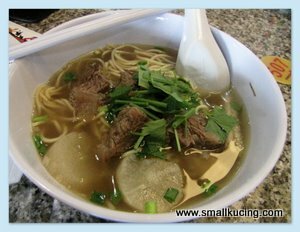 I will go for everything except the beef noodles, the prawn mee for me and my hubby can eat the fried kuey teow everyday. 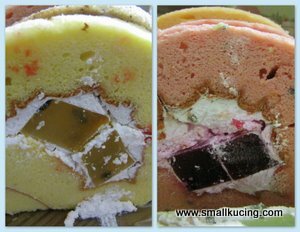 The swissrolls with jelly looks good wor... something different. Eh i thought you bought before? The Year of THe Dragon - Am Back!!! Honkee Porridge at Damansara Uptown. Baci Italian Cafe at Citta Mall. How Do You Skin A Pomelo?